Viveka Nand has been a regular an active student of the ICC in Suva since its inception in 1972.At present; Mr.Nand is a faculty as Indian Classical Instrumental in ICC Suva. His major interest has been in the area of light classical vocal music and also of instrumental music, Harmonium, Tabla and Sitar (Percussion). He is a proficient and talented teacher in the field of both, Vocal and Instrumental music. Previously, he has worked for 5 years as a part time tutor at the University of the South Pacific from year 2000 and in Fiji College of Advance as a Guest Lecturer in Indian Music. Mr. Nand has been teaching in ICC Suva since October 2008. Ms Sudarshan, teaching in ICC,Suva since February 2009. She was born in Kozhikode, Kerala and has been trained in Carnatic Classical Music. She is a disciple of Shri Nedumangadu Sasidharan Nair who is an accomplished A-Grade artist with the All India radio and Doordarshan. Kavita is also an A-Grade artist in both light and classical music. She has performed extensively with eminent playback singers like Shankar Mahadevan, Hariharan, Chitra. Mrs. Sudarshan has a number of CD recordings to her credit. She is a versatile singer who sings in Malayalam, Tamil, Hindi, Fijian and English. Ms Shobna is a Kathak Faculty at the Centre since 1st December 2009. As a student of ICC she learned Kathak and Folk Dance from 1973 to early 90s from various dance teachers from India stationed at Indian Cultural Centre, Suva, like Mr.Satyanarayan Charkha, Mrs. Shakti Roberts and Mr. S.A Tirmizi. Ms Sidhorna Rao is a Faculty for Bharatnatyam in ICC Suva. She studied Bharatnatyam under the guidance of Padmashree Guru Saroja Vaidyanathan who is the household name in Bharatnatyam in India at Ganesh Natyalaya in New Delhi and graduated as a Bharatnatyam Performer and Teacher through ICCR scholarship. She has vast experience of teaching in the respective field. Since last 10 years, Ms. Rao has taught Bharatnatyam at Fiji Multi Ethnic Cultural Centre. Ms. Rao has been teaching in ICC since February 2011. Dr V Bharathi Maran is a graduate of BNYS (Bachelor of Naturopathy and Yogic Sciences) Degree of 5 ½ years duration from “The Tamil Nadu Dr. M.G.R. Medical University, Chennai” having 14 years of experience in Complementary and Alternative Therapies. He was awarded a PhD Degree from India‟s prestigious institute “All India Institute of Medical Sciences” (AIIMS), New Delhi for his medical research work on the “Evaluation of Reflexology as an Adjunctive Therapy in Children with Spastic Cerebral Palsy”. He has worked in various hospitals and institutions to explore the benefits of drugless therapy and created the awareness on benefits of Naturopathy and Yoga by conducting various health camps and wellness programs. He was appointed as Camp Coordinator by National Institute of Naturopathy, Pune, Ministry of AYUSH, Govt of India. He worked as Junior Research Fellow in the project entitled “Randomized Clinical Trial (RCT) on the effect of reflexology in the management of patients suffering from diabetic neuropathy: Case studies” funded by Indian Council of Medical Research, Govt of India and also worked as Senior Research Fellow in the project entitled „Determination of efficacy and safety of reflexology therapy for the patients with intractable epilepsy: a multicenter randomized clinical trial” funded by Department of Biotechnology NER Division, Govt of India in the Dept of Biophysics, AIIMS.He has published nine research articles in various International Medical Research Journals and also he is a Reviewer of the Medical Journal “Complementary Therapies in Clinical Practice” of Elsevier Publications. Dr V Bharathi Maran is a registered Medical Practitioner in Tamil Nadu Board of Indian Medicine, Chennai. 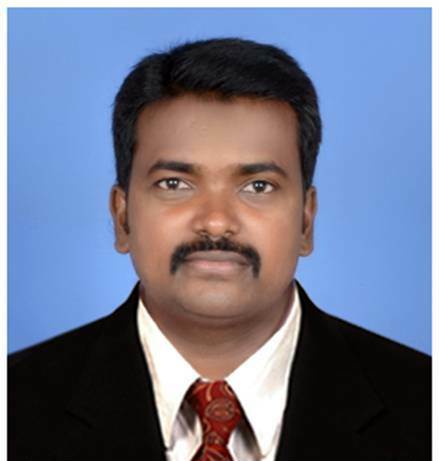 He was appointed asAYUSH Medical Officerat Govt Block PrimaryHealth Centre, Dhaliyur, Coimbatore under National Rural Health Mission (NRHM) byCommissionerate of Indian Medicine and Homeopathy, Chennai, Ministry of Health andFamily Welfare, Govt of Tamil Nadu before joining as Teacher of Indian Culture on June 11,2018 at High Commission of India, Swami Vivekananda Cultural Centre, Suva, Fiji Islands. Kiran Mala Singh is a graduate of BA (Hindi) from Chhatrapati Shahu Ji Maharaj University,Kanpur, Advance Diploma in Hindi Language from Central Institute of Hindi, New Delhi andholds Diploma in Tertiary Teaching as well as Advanced Certificate in Counseling from FijiNational University Fiji. 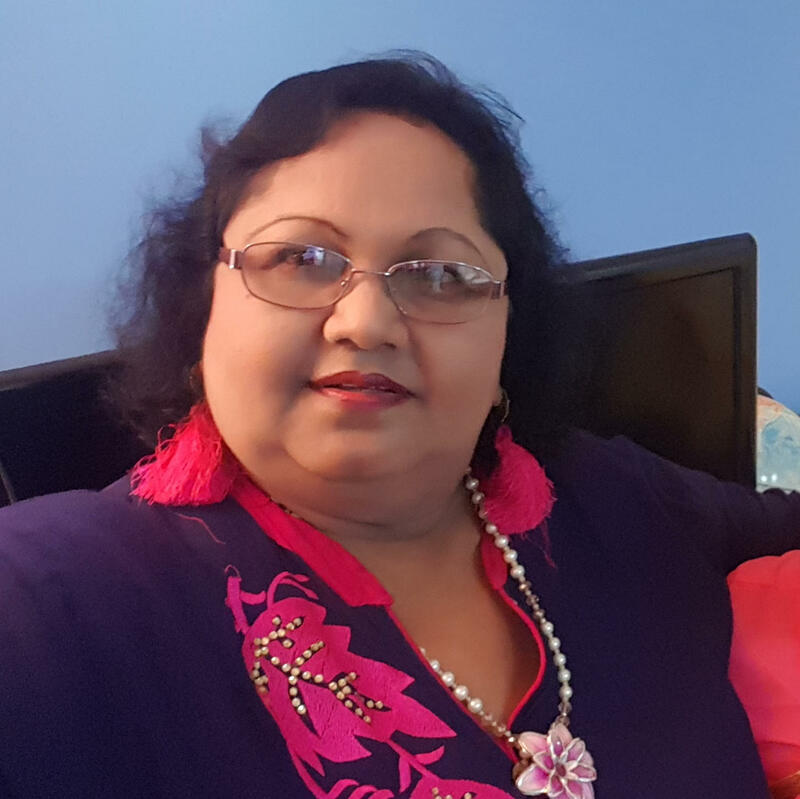 She served as Secondary School Teacher in various prominent Schools,Government of Fiji for 27 years. She is associated with many cultural organizations in promotingHindi Language, Culture and Music. She represented as Official speaker Hindi from Fiji in 10thand 11th World Hindi Conferences held at Bhopal, India, 2015 and Mauritius, 2018 respectively.She is the author of Hindi Motivational Book entitled as "MUJHE BHI KUCH KAHNA HAI" andcurrently working as Hindi Teacher at SVCC since August 2016.